Why don't I like subscription boxes? I'm not really a fan of polish subscription boxes - a lot of boxes were amazing couple months or years ago but now - I usually can't see anything in boxes for me because I don't need another slimming tea or coloured neon nail products - everyone is different and I know that some of you might want more nail polishes in the boxes, what's the other thing which I don't really like in beauty boxes - they aren't "crafted" for your skin type - so it's pretty easy to get a product which might be full of comedogenic ingredients or allergens or even you can get a shampoo for a blonde hair while your hair are black. Why I've decided to give a chance to Liferia is a fact that products in the box are from around the world and that's something new for me in those boxes - I feel like right now boxes are focused mostly on national products and very popular foreign brands - why can't we mix all these things together? This subscription box is very young in Poland. Liferia provides us products from around the world - in this box we've got not only polish brands but also brands from Israel and the United Kingdom. I can clearly say that this box has a potential, I saw one of the previous boxes - (probably the January one) and I was really surprised with Mizon which is a Korean brand and now I can see Ahava product in a box - that just warms my heart, especially when Ahava is a new brand for me. I must also tell that the packaging - this pink box - can be used for your makeup, you can store in them sheet masks or even nail polishes, I encourage you to use this box instead of throwing it away - think about the environment, I always keep these boxes as a storage boxes or I send gifts wrapped in these boxes. Ingredients: Aqua (Water), Aloe Barbadensis Leaf Juice Powder*, Cocamidopropyl Betaine, Lauryl Glucoside, Sodium Cocoamphoacetate, Disodium Lauryl Sulfosuccinate, Coco-Glucoside, Glyceryl Oleate, Sodium Chloride, Decyl Glucoside, Sodium Benzoate, Parfum (Fragrance), Citric Acid, Potassium Sorbate, Punica Granatum Juice Extract*, Tocopherol, Hydrogenated Palm Glycerides Citrate, Ascorbic Acid Cananga Odorata Macrophylla Flower Extract, Citrus Nobilis (Mandarin Orange) Peel Oil Expressed, Juniperus Mexicana Wood Oil, Amyl Cinnamal, Linalool. I really like the smell of this product, but as you know - smell doesn't mean everything. Ingredients aren't the worst - I can see citric acid which is a good ingredient but sensitive skin might react to this ingredient. Some people might react to Linalool and Parfum is an ingredient which might but it doesn't mean it is Instagram one. On the other side Tocopherol, Ascorbic Acid, Aloe and Water are the best ingredients here. Ingredients: Aqua (Mineral Spring Water), Ethylhexyl Palmitate, Isopropyl Myristate, Glyceryl Stearate, Cetyl Alcohol, Propanediol (Corn Derived Glycol), Alanine & Creatine & Glycerin & Glycine & Magnesium Aspartate & Saccharide Hydrolysate & Urea, Ethylhexyl Methoxycinnamate, Peg-40 Stearate, Sorbitan Tristearate, Caprylyl Glycol & Chlorphenesin & Phenoxyethanol, Maris Sal (Dead Sea Water), Aloe Barbadensis Leaf Juice, Dimethicone, Allantoin, Parfum (Fragrance), Tocopherol (Vitamin E), Butylphenyl Methylpropional, Coumarin, Hexyl Cinnamal, Hydroxyisohexyl 3-Cyclohexene Carboxaldehyde, Linalool. I was really interested in this brand, unfortunately, this product is not recommended for my skin type - Ethylhexyl Palmitate and Isopropyl Myristate are really high if it comes to comedogenic effects. We've got here a chemical sunscreen - Ethylhexyl Methoxycinnamate and a couple bad ingredients like Phenoxyethanol or PEG-40 but on the other hand we can find here Water, Aloe, Dead Sea Water, Allantoin and Tocopherol. 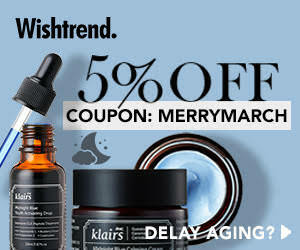 Normal skin will like this combination of good ingredients. What's great about this brand is fact that they clearly say where the ingredient is coming from - information about Propanediol was really useful. 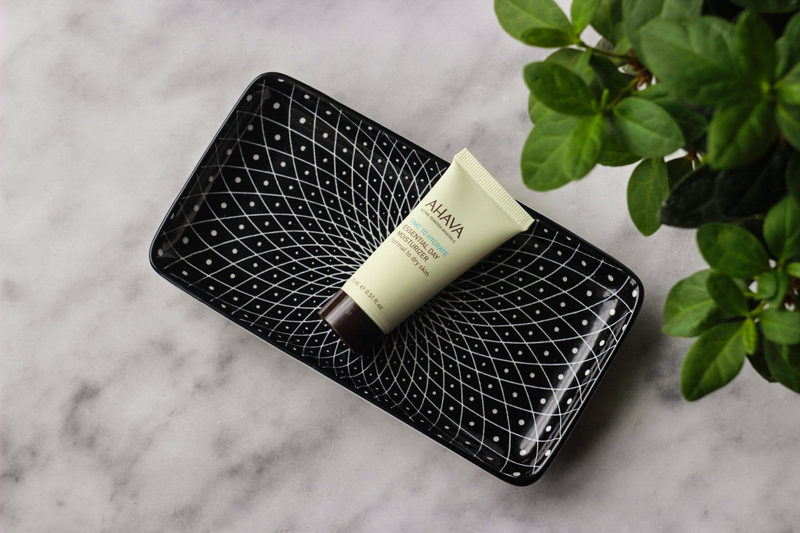 As long as I've enjoyed two previous products even if Ahava is not for my skin this one has one problem which I can't tolerate - BHT. Couple months ago I had a problem with BHT in my cleansing oil, BHT is not a good ingredient as well as Parfum. Good ingredients here are Water, Glycerin, Panthenol, Lactic Acid and Allantoin. The smell of this product is really interesting and that's all for me, I'll probably use this one to clean my brushes or something because I don't want to risk with BHT again. I wasn't really hyped about this product because even if it's a home brand and I should feel like it's a safer option than all my kbeauty stuff because I obviously know Polish better than Korean, the packaging looks very cheap but the smell of the product is amazing. 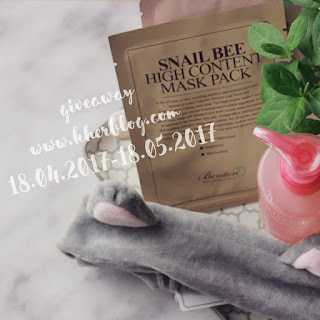 Phenoxyethanol and Parfum aren't good but on the other hand, this product contains Oenothera Biennis Oil - Primrose Oil and Argania Spinosa Kernel Oil - Argan Oil. Some skin types might not enjoy hydrogenated Castor Oil, but we've got here Allantoin and Tocopheryl Acetate which are good moisturisers. 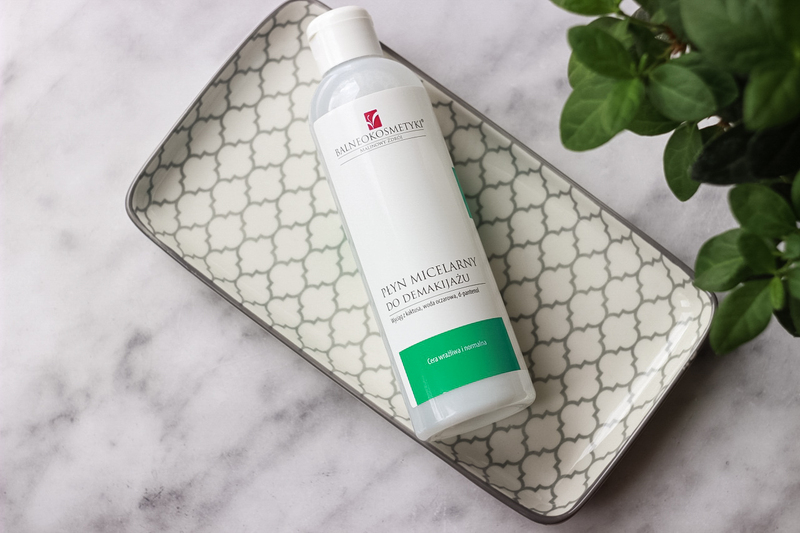 For me, it's a nice and simple toner with a nice scent. It's different than Korean toners but it's a formula to which European people are more used to. 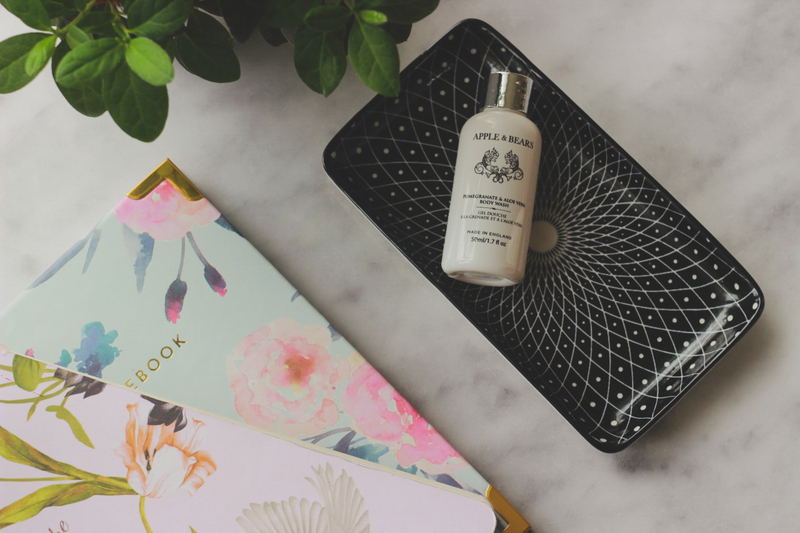 It's a toner which it's really good to keep in our beauty stash. 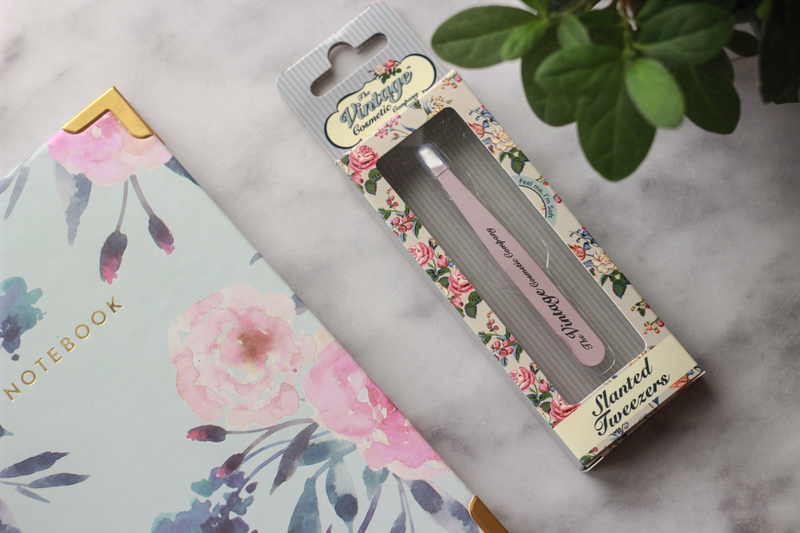 This product might seem as a useless one - I think that all of us already have tweezers in their purses, I also thought that I don't need a cute looking tweezers... but it turned out that these tweezers work better than my current ones - it's easier to remove hair with them. What's my opinion about this box? I have mixed opinion about this box because it's a very young box and I'm sure it'll develop a lot in only couple months, I saw how this box looks in Ukraine and if it's going this way then we'll be lucky with such a great option between many other beauty boxes - if you know any Slavic language and you know how to read Cyrillic script then checking their Ukrainian version should be a piece of cake for you, you'll see there how many brands are working with Liferia. 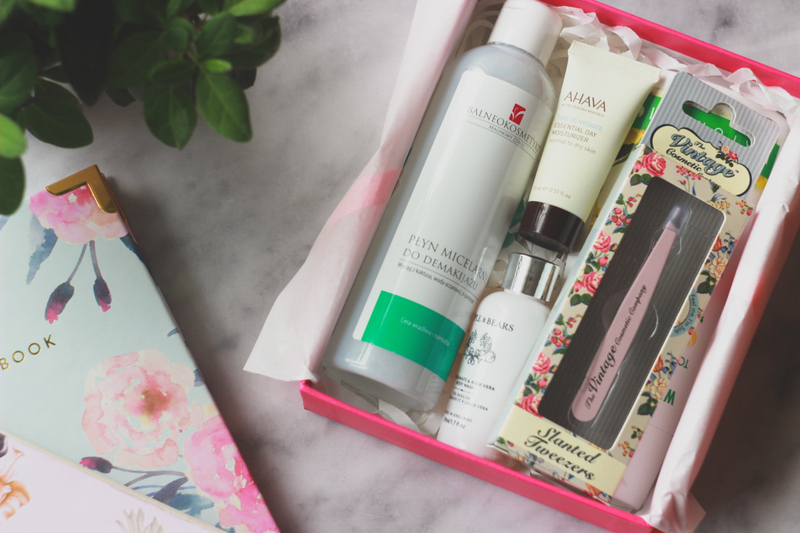 What I've liked about this box are for 100% Tweezers, Apple & Bears body wash, Naturalis Tonik Wiesiołkowy (Primrose Toner) and Ahava cream - even if the Ahava cream is definitely not a good choice for my skin and I'll use it on my hands, it's still great that... I met 5 new brands and two of them are Polish - I think that I would be less surprised with Asian brands as I am with polish ones. 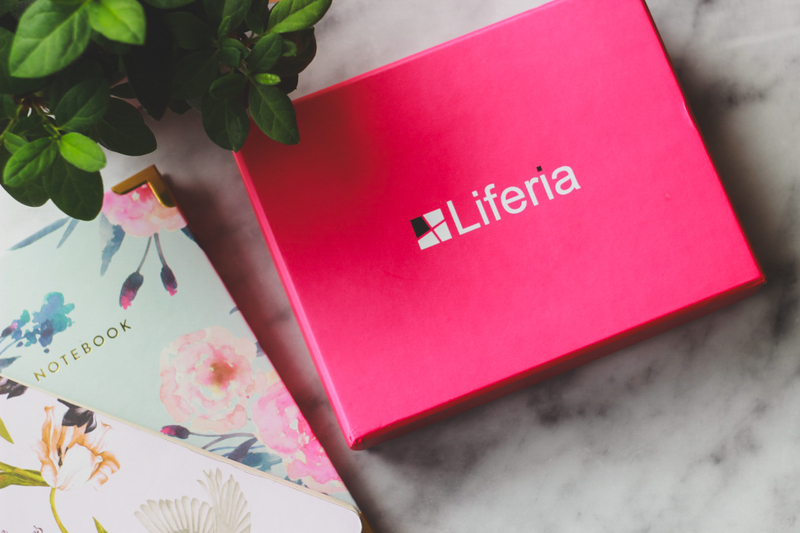 You can get Liferia subscription box from their official website. If you follow me on facebook you had a chance to use my promo code to get this box with +1 product which I didn't show you, that's why I'm encouraging you to check on my Facebook account as well as Instagram one where I'm sharing with you some promo codes and news from beauty industry. Jeśli obserwujesz polskie blogi i profile na instagramie to na pewno już widziałaś nowy box od Liferii. Nie będę oryginalna i również podzielę się z Wami zawartością pudełeczka, jednak zrobie to po swojemu - nie oznacza to nic innego niż skupię się na składach produktów w boxie. Dlaczego nie przepadam za pudełeczkami? Nie jestem fanką polskich pudełeczek - większość z nich była wspaniała tylko przez kilka miesięcy czy rok, a teraz - zazwyczaj w tych boxach nic dla siebie nie widzę - nie potrzebuje kolejnej cud herbatki, która ma mnie odchudzić czy lakieru do paznokci w krzykliwym kolorze - każda osoba ma inny gustu i wiem, że wśród Was znajdą się osoby, które będą wolały lakiery do paznokci w boxach bardziej niż pielęgnację, co głównie denerwuje mnie w pudełkach to nic innego niż fakt, że nie są dopasowane do cery poszczególnego klienta - łatwiej w takim przypadku można trafić na produkty, które dla naszej cery nie będą odpowiednie ze względu na składniki komedogenne czy alergeny, albo np. trafisz na szampon do blond włosów a Twoje włosy są kruczoczarne. Co jednak przekonało mnie, aby dać Liferii szansę to fakt, że pudełko skupia produkty z całego świata - mam odczucie, że obecnie pudełka głównie skupiają się na produktach narodowych oraz na bardzo popularnych markach - a czemu by nie wymieszać tych cech na raz? To pudełeczko to dość młoda opcja. Liferia dostarcza nam produkty z całego świata - w tej edycji znajdziemy nie tylko polskie marki, ale i marki z Izraela czy Wielkiej Brytanii. Z łatwością mogę stwierdzić, że marka ta ma potencjał - widziałam jedno z poprzednich pudełek (bodajże styczniowe) i zaskoczyło mnie, że pudełko zawierało produkty marki Mizon, która jest z Korei. Cieszy i grzeje to bardzo moje serce, zwłaszcza, że mam okazję poznać markę Ahava, o której pierwszy raz słyszę. Muszę też przyznać, że opakowanie - różowe pudełeczko - możecie użyć do przechowywania np. makijażu, maseczek w płachtach czy lakierów do paznokci do czego mocno zachęcam - warto przy zamawianiu takich boxów pomyśleć o środowisku, zawsze zużywam takie pudełka jako pudełka do przechowywania dokumentów i rzeczy lub wysyłam pocztą zapakowane w nie prezenty. Skład: Aqua (Water), Aloe Barbadensis Leaf Juice Powder*, Cocamidopropyl Betaine, Lauryl Glucoside, Sodium Cocoamphoacetate, Disodium Lauryl Sulfosuccinate, Coco-Glucoside, Glyceryl Oleate, Sodium Chloride, Decyl Glucoside, Sodium Benzoate, Parfum (Fragrance), Citric Acid, Potassium Sorbate, Punica Granatum Juice Extract*, Tocopherol, Hydrogenated Palm Glycerides Citrate, Ascorbic Acid Cananga Odorata Macrophylla Flower Extract, Citrus Nobilis (Mandarin Orange) Peel Oil Expressed, Juniperus Mexicana Wood Oil, Amyl Cinnamal, Linalool. Bardzo przypadł mi do gustu zapach tego produktu, jednak jak wiemy zapach to nie wszystko. Skład nie jest najgorszy - Citric Acid (kwas cytrynowy) jest dobrym składnikiem, jednak nadwrażliwa cera może na niego zareagować. Niektóre osoby mogą również reagować na Linalool czy Parfum - składnik, który może ale nie musi być syntetyczny. Z drugiej strony mamy Tocopherol (Witamina E), Ascorbic Acid (Witamina C), Aloe (Aloes) i Water (Woda), które są tutaj najlepszymi składnikami. Skład: Aqua (Mineral Spring Water), Ethylhexyl Palmitate, Isopropyl Myristate, Glyceryl Stearate, Cetyl Alcohol, Propanediol (Corn Derived Glycol), Alanine & Creatine & Glycerin & Glycine & Magnesium Aspartate & Saccharide Hydrolysate & Urea, Ethylhexyl Methoxycinnamate, Peg-40 Stearate, Sorbitan Tristearate, Caprylyl Glycol & Chlorphenesin & Phenoxyethanol, Maris Sal (Dead Sea Water), Aloe Barbadensis Leaf Juice, Dimethicone, Allantoin, Parfum (Fragrance), Tocopherol (Vitamin E), Butylphenyl Methylpropional, Coumarin, Hexyl Cinnamal, Hydroxyisohexyl 3-Cyclohexene Carboxaldehyde, Linalool. Zainteresowała mnie ta firma, jednak produkt nie jest odpowiedni dla mojej cery - Ethylhexyl Palmitate (Pamiltynian 2-etyloheksylu) i Isopropyl Myristate (Mirystynian Izopropylu) są wysoko w skali komedogenności. Mamy tutaj chemiczny filtr przeciwsłoneczny - Ethylhexyl Mathoxycinnamate (4-Metoksycynamonian 2-Etyloheksylu) i kilka złych składników takich jak Phenoxyethanol (Fenoksyetanol) czy PEG-40, ale z drugiej strony znajdziemy Water (Woda), Aloe (Aloes), Dead Sea Water (Woda z morza martwego), Allantoin (Alantoina) i Tocopherol (Witamina E). Cera normalnia na pewno pokocha te składniki. Za co ceni się markę to jasne przedstawienie pochodzenia składników - informacja o pochodzeniu Propanediolu jest przydatna. O ile dwa poprzednie produkty mi się podobają, nawet jeśli Ahava nie jest przeznaczona do mojej cery, tak ten produkt jest dla mnie problemem nie do przyjęcia - w składzie znalazłam BHT. Kilka miesięcy temu miałam problem z olejkiem do demakijażu z BHT w składzie, BHT to składnik, który nie jest pozytywny tak samo jak Parfum. W tym zestawieniu dobre są Water (Woda), Glycerin (Gliveryna), Panthenol (Witamina B5), Lactic Acid (Kwas Mlekowy) i Allantoin (Alantoina). Zapach produktu jest ciekawy jednak zdecydowanie to nie produkt dla mnie - zużyje go do czyszczenia pędzli, ponieważ z BHT mi nie po drodze. Przyznam, że jakoś nie zaszalałam na jego punkcie, jest to rodzima marka i powinnam czuć, że jest to najbezpieczniejsza opcja, o wiele bardziej bezpieczniejsza niż koreańskie kosmeyki, bo w końcu oczywiste jest, że lepiej znam polski niż koreański. Opakowanie wygląda bardzo tanio, za to zapach mnie do niego przekonuje. Phenoxyethanol (Fenoksyetanol) i Parfum (substancja zapachowa) nie są dobre, ale za to w składzie znajdziemy takie perełki jak Oenothera Biennis Oil, czyli olej z wiesiołka oraz Argania Spinosa Kernel Oil - olej arganowy. 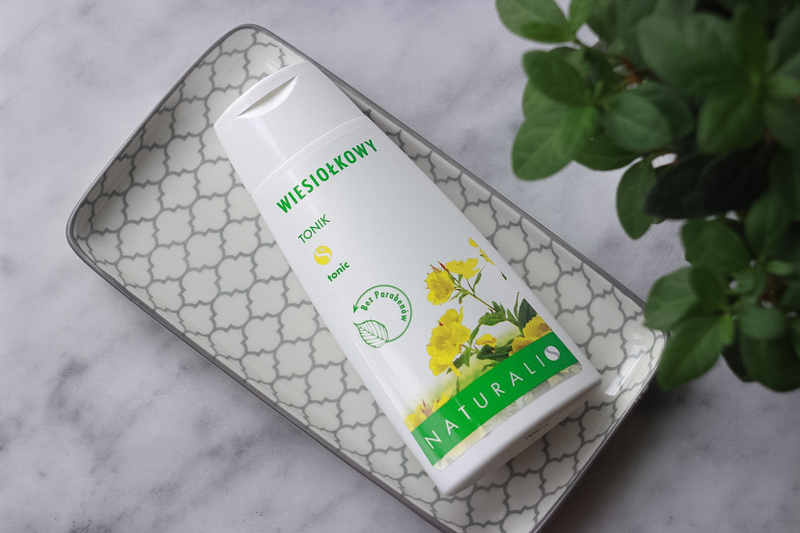 Niektóre osoby mogą mieć problem z Hydrogenated Castor Oil, ale za to znajdziemy w nim Allantoin (Alantoinę) i Tocopheryl Acetate (estrowa forma witaminy E), oba są dobrymi nawilżaczami. Według mnie to fajny i prosty tonik z ładnym zapachem. Jest inny niż koreańskie tonery, jest to formuła typowa dla europejskiego rynku. Jest to produkt, który warto mieć pod ręką. Może się wydawać, że ten produkt jest zbędny - w końcu każdy z nas ma pęsetę w kosmetyczce - też tak myślałam, w końcu nie potrzebuje kolejnej pęsety, która tylko różni się lepszym wyglądem… okazało się, że ta pęseta działa lepiej niż moja obecna - łatwiej usunąć nią wrośnięte włoski. Mam mieszane odczucia, ponieważ jest to młoda marka i jestem pewna, że w przeciągu kilku miesięcy się rozwinie - widziałam jak boxy Liferii wyglądają na Ukrainie i jeśli i u nas box pójdzie w tę stronę to czeka nas ciekawa opcja na rynku - jeśli znacie polski i umiecie czytać cyrylicę to zajrzenie na ukraińską wersję Liferii będzie bardzo łatwe, a tam zobaczycie jak wiele marek z boxem współpracuje. Co na 100% spodobało mi się w tym pudelku to pęseta, żel z Apple & Bears, Tonik Wiesiołkowy Naturalis i krem Ahava - nawet jeśli nie jest dobry dla mojej cery to zużyje go jako krem do rąk. Nadal jestem zaskoczona, że… poznałam 5 nowych marek w tym dwie są z Polski - coś czuje, że już mniej mnie dziwią azjatyckie marki od tych polskich. Pudełeczko zamówicie z oficjalnej strony Liferii. Jeśli nie obserwujecie mnie na Facebooku to zdradzę Wam, że tam właśnie dzieliłam się z Wami kodem dzięki któremu do pudełka otrzymywaliście dodatkowy produkt, który nie pojawił się w dzisiejszym poście, dlatego też zachęcam Was do zaglądania i obserwacji moich działań na Facebooku i Instagramie, gdzie nie tylko dziele się z Wami kodami zniżkowymi ale i wiadomościami dot. kosmetyki. Właśnie za takie posty jesteś wysoko cenioną blogerką w moich oczach! Mówisz szczerze, a darmowe produkty nie są w stanie zamydlić Ci oczu. Nie lubię zachwalania kremów do cery suchej, jeśli osoba pisząca recenzje ma cerę tłustą itp. ja sama też nie przepadam za takimi pudełkami, jakoś wolę kupić sobie jakieś konkretne kosmetyki :). Such a pretty subscription box and SO many fun goodies!! Hope you have a great weekend! Te pudełeczka zawsze mi się podobały. Głównie dlatego, że zawierają produkty których nigdy sama nie kupię. Najchętniej kupiłabym pudełko oczami, ale masz wiele racji. Nie pomyślałam o tej drugiej stronie medalu, że może trafić się coś co nie będzie mi odpowiadać a to byłaby strata dla mnie. Chyba pozostanę przy tradycyjnych drogeriach :) rewelacyjna recenzja! Przyznam, że widziałam w tym miesiącu już sporo recenzji Lifterii, ale żadna nie miała składów więc dzięki Ci wielkie :) Zadziwiłaś mnie też samym BHT - nie słyszałam jeszcze, żeby komuś szkodził. Nie kupuję boxów, bo zwykle pasuje mi np. jeden kosmetyk z całego pudełka. Świetnie to opisałaś, właśnie składy są tym, co przede wszystkim powoduje, że kupię/nie kupię. 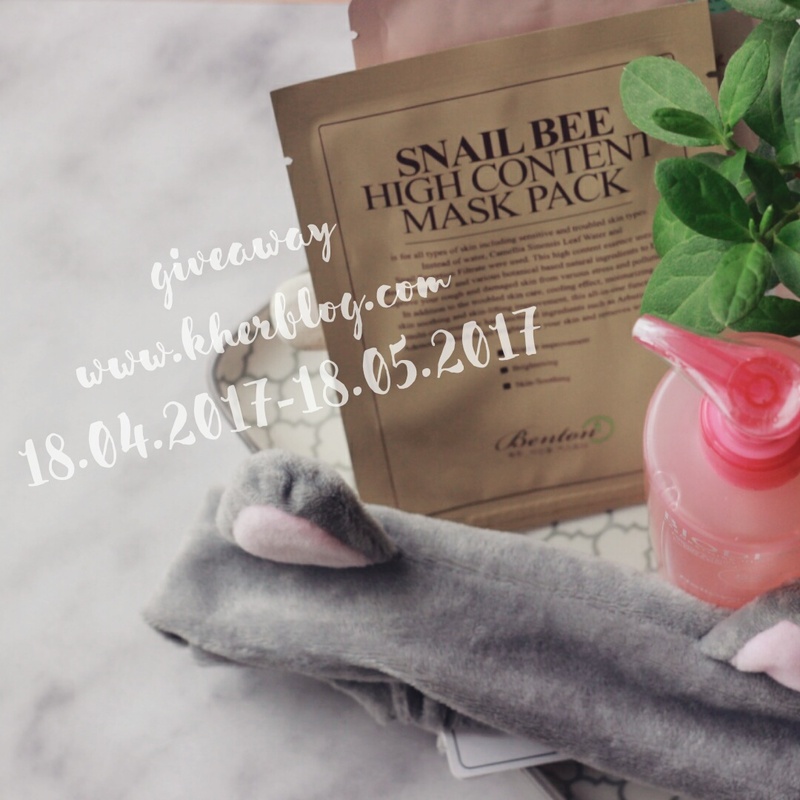 I know what you mean, subscription boxes - especially beauty - can be very hit and miss! Having said that, the occasional one can be so impressive :) Have a lovely weekend. Shame that some of the products didn't work for you because of the ingredient but kudos to you for being aware what's good and not for your skin. I love subscription boxes only for the surprise and because it feels like Christmas once or twice a month. LOL! Seems ok, I like the tweezers, specially if they work better than the normal ones. Loving all the contents in the Lifeteria box, especially the cute pink tweezers! Jestem pod wrażenie pudełek Liferia, mimo upływających miesięcy, cały czas trzymają poziom i każde z nich zawiera coś ciekawego. Z tego pudełka na pewno byłabym bardzo zadowolona. As usual amazing post) Thanks for sharing! Such a lovely pictures and very interesting post! We have Liferia box in Ukraine, too))) Very interesting review!